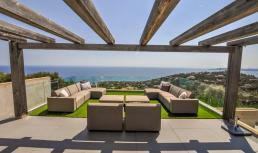 Welcome to the Residence Royale rental program of luxury villas and apartments in the southern countries of Europe. 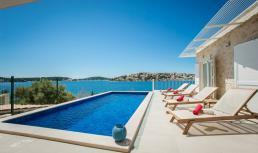 Residence Royale is an expert rental agency renting out luxurious and exclusive holdiday accommodation in Spain, France, Portugal, Italy, Greece and Croatia. Villa Maggiore is for rent in Magognino on Lake Maggiore (Italy) with fantastic views of the lake and the surrounding hills. This beautiful holiday villa comprises 5 bedrooms, 3 bathrooms, large infinity pool with outdoor shower (hot), air conditioning and WiFi internet!